Nik Turner – Space Fusion Odyssey (Prog Magazine Review) – Cleopatra Records, Inc.
Hawkwind legend still in search of space. Nik Turner is on a creative roll. 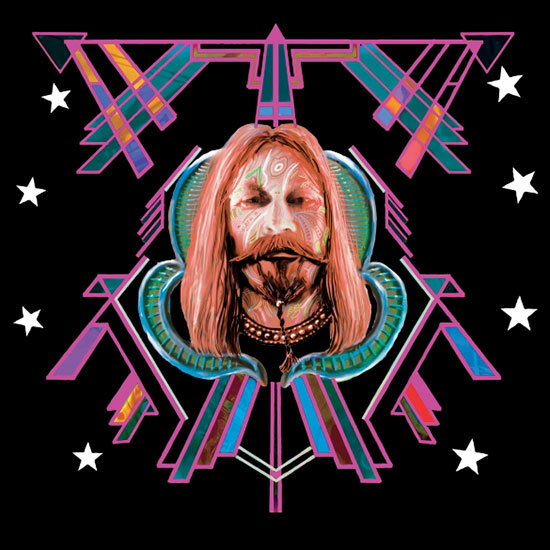 Last year�s Sonic Noise Opera and predecessor Space Gypsy were two of the finest albums of his post-Hawkwind career, but he may just have trumped them both with Space Fusion Odyssey, which takes flight with the bubbling cosmic funk of Adjust The Future and never looks back. The energy levels are impressively high throughout, reaching a peak on the irrepressible We Came In Peace, with its distorted guitar flashes, squawky riffs and whispered incantations. Hypernova is a mighty thing too, Turner roaring along on saxophone while ex-Megadeth man Chris Poland and Doors icon Robby Krieger trade rhythms on guitar. Both men are part of a wider circle of musicians who�ve been brought in to lend their considerable weight. Others include jazz drummer Billy Cobham, Amon D��l II�s John Weinzierl, Soft Machine�s John Etheridge and the Gong pairing of Steve Hillage and Gilli Smyth. It sounds like the whole world is aboard for Pulsar, a starry trek through jazz fusion. Meanwhile, with Pan-like flute and a breathy credo (�We travel together through time and space�), Spiritual Machines Chapter Two is a superior folk-funk jam. Visit Our Web Store! Available on CD & LP!